So how does Helpful Recruitment work? You have a New Job Vacancy? Step 1: Are you prepared for your Recruitment? So you’ve got an amazing job advert and have shortlisted candidates waiting to be interviewed. What now? The whole recruitment process can become a little more complicated than it looks. Don’t forget, the most important asset in any business,is its staff! It takes less than 2 minutes to join and start your recruitment with the award winning helpful jobsite for employers. 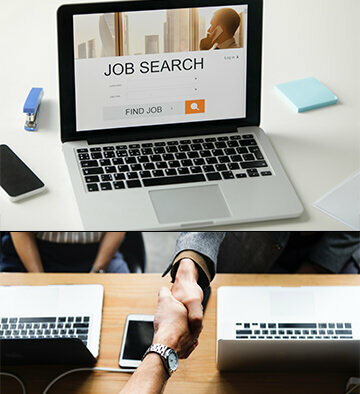 Let Candidates find You- create your free company profile and advertise your jobs so job seekers can express interest in you. You don’t need to register to search for CVs on apply4U.com and you can Express Interest in Candidates for Free, so when they reply you know they’re interested. If you require further assistance or professional recruitment help, call a recruitment expert on (020)8902 0194. You can also request them to conduct a bespoke CV search for you and directly send you relevant CVs within 24 hours! Let candidates know you’re interested in them for a job opportunity, an interview or meeting, informal discussion or just for networking purposes. So when they reply, you know they’re interested. When you see a CV you like, we suggest you download and contact them right away. Don’t let your competitors beat you to it. If you want to really stand out from the crowd or want further help in your recruitment, then request a recruitment expert to handle the recruitment process from searching for talent, calling the candidates& screening them for quality, headhunting and marketing your positions to passive talent and arranging interviews on your behalf. Step 4: Ready to Interview? Make sure you’re ready to interview and have prepared questions to ask the candidates. If you require additional interviewing help, you can request a recruitment expert to telephone screen or interview candidates face to face and run assessment days for larger campaigns. Welcome your new employee...apply4U.com helped you find the Top Talent your REALLY wanted at a lower Cost per Hire. What you read above is just a short description on what we can really do for you. If you have any question or require more information please click the links below or contact us on (020)8902 0194,send us an email on info@apply4u.com or check out our contact page.